Your Commissary Rewards Card may be one of the most important tools you can have to save money on groceries and other necessities, and at MyMilitarySavings.com, we make it easier than ever to put your card to good use. In fact, since we founded our organization in 2011, we’ve made it our mission to deliver coupons, discounts, and special offers to military families in order to help save time and money. That’s because we recognize the sacrifices that today’s modern military families make, and we understand that sometimes it can be tough to make ends meet. Pick up a Rewards Card at any one of numerous locations behind the gates. 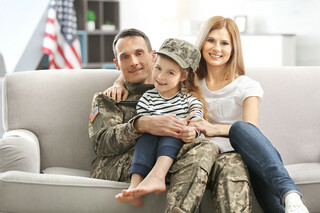 Go to MyMilitarySavings.com and sign up for your free membership. Head over to the Coupons page and follow the link to register your Rewards Card. Now you’re ready to begin saving money when you download digital coupons to your card and redeem them at the commissary or any of the military exchange stores. Additionally, you’ll find numerous other ways to save money and time. For example, downloading the digital versions of the Price Connexion and Coupon Connexion flyers allow you to plan your shopping trip wisely, and we even provide you with a shopping list tool so you can make your list and print it out at home or access it on your mobile device. For more information about these features, as well as tools to get the most out of your Commissary Rewards Card, sign up for your free membership at MyMilitarySavings.com today.